A 1940s view of the High Street showing an early Eastern National bus. This page was added on 23/06/2017. 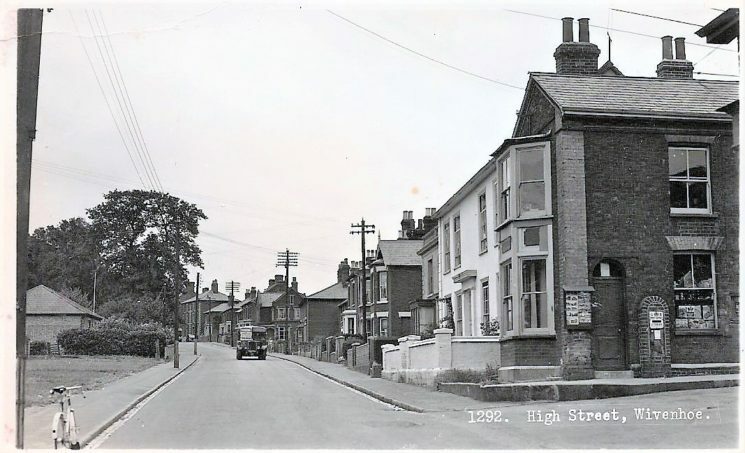 On the left of this photo you can see the Wivenhoe Urban District Council offices when it was just a small bungalow.